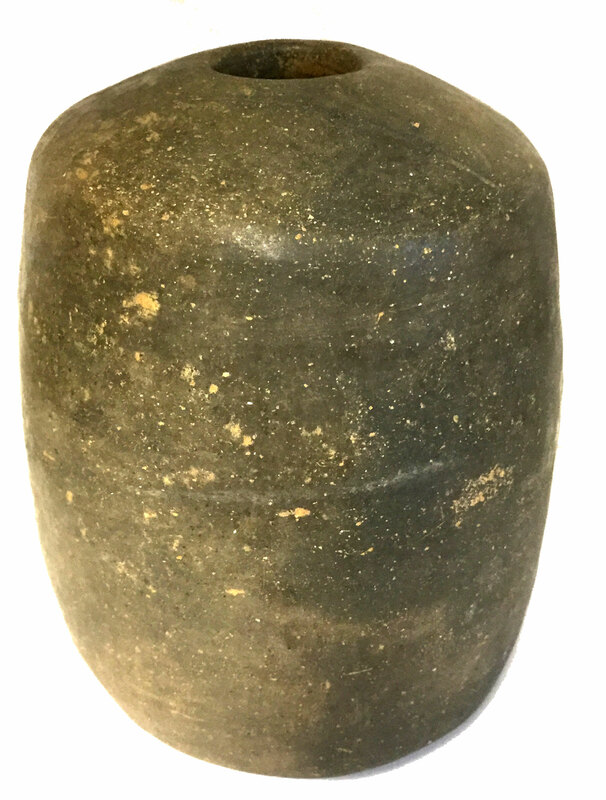 A Short, Medium Size Sturdy And Very Well Made, Visibly Aged, Caddoan Seed Jar That Exhibits Visible Surface Aging And Clay Coloration Patination. Aged Open Pit Firing And Firemarking, Visible Surface Coiling Manufacture, Visible Inside Aging And Deposits, Aged Deposits In The Surface Deteriorated Shell Grog Pores, Correct Material And Manufacture For The Area Found. Found By Hoy And Wilton Furr, At The Red Hill Site # 11-A, Near The Ouachita River In Clark County, Arkansas In 1978. Ex-Hoy And Wilton Furr, Ken Partain, Kevin Pipes, Cliff Jackson And Tom Vaughn ( # 2015) Collections. Includes R.W. " Dub " Lyerly And Ken Partain Certificates Of Authenticity.